According to research unveiled last week, mega-droughts may no longer be history. 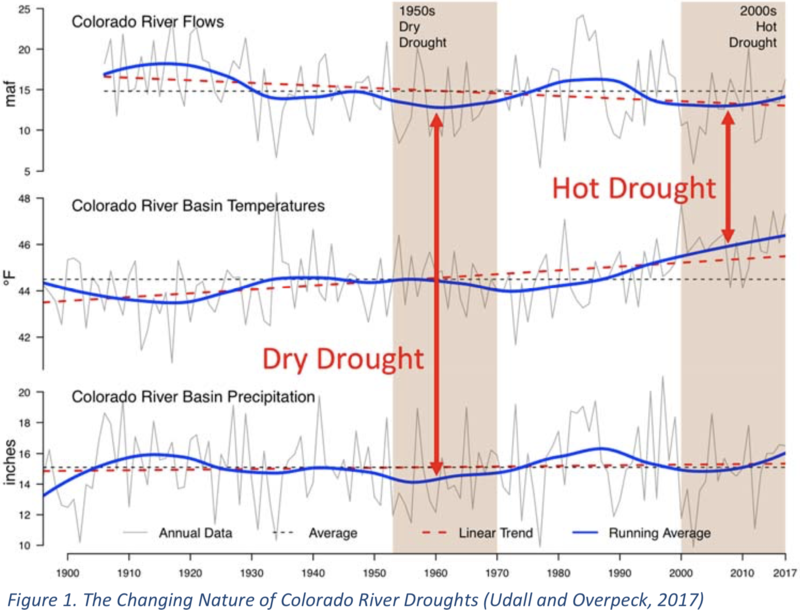 On Thursday, a team of climate scientists argued that the American West may currently be experiencing its first mega-drought in more than 500 years. A record-breaking period of aridity set in around the year 2000 and continues to this day, they said. “The last 19 years have been equivalent to the worst 19 years of the worst mega-droughts on record,” said Park Williams, a professor of bioclimatology at Columbia University, at a presentation of the work. Only three recent mega-droughts—in the late 800s, the mid-1100s, and the late 1500s—were worse than the current period, he added. Williams presented the results to a standing-room-only session at the American Geophysical Union’s fall meeting, the year’s largest planetary-science conference. The work has not yet been peer-reviewed. While it’s a common practice to share preliminary work at a scientific meeting, Williams didn’t comment directly for this article; academic norms discourage researchers from publicly discussing a study before its formal publication. But other scientists told me that the work makes sense, saying it was “quite plausible” that the American Southwest is in a mega-drought right now. And no matter what, it’s clear that the region is in the middle of a far-reaching climatic transformation. “The definition of mega-drought technically is open to debate,” said Jonathan Overpeck, a climate scientist at the University of Michigan. Two decades ago, he and the climate scientist Connie Woodhouse coined the term mega-drought in a paper, specifying that such a drought must last 20 years or more. “The drought in the Southwest is now in its 19th year. So it’s right on the cusp of technically being a mega-drought,” Overpeck told me. He said that two different events seem to be driving the crisis. First, the region is receiving less rain than normal. Second, the Southwest as a whole is systematically warming up and drying out. It’s becoming a more desertlike place, a process that scientists call aridification. “Most of the work points to aridification being dominant” in driving the modern drought, Overpeck said. Click on a thumbnail graphic to view a gallery of US Drought Monitor maps from around this time of year since 2009. US Drought Monitor December 11, 2018. US Drought Monitor December 19, 2017. US Drought Monitor December 18, 2012. US Drought Monitor December 22, 2009.